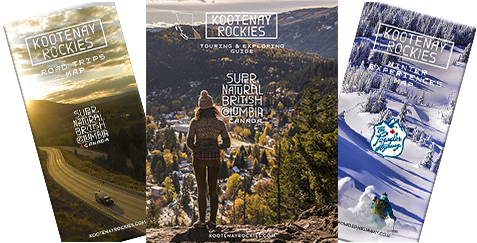 Located amidst the majestic Canadian Rocky Mountains, this family resort offers breathtaking beauty, a ski and snowboard area, spa facilities, accommodation, restaurants and Canada's largest, odourless natural mineral hot springs (open year-round). Cafeteria, dining room, lounge, ski school, rental shop and accommodation with complimentary use of public mineral hot springs plus guest exclusive hot springs complex. Enjoy the family-friendly ski hill. Sunny slopes, soft snow and incredible value. With a total of 14 groomed runs, ranging from green to black in skill level, the slopes provide an ideal family experience. Enjoy the uncrowded perfect corduroy runs and panoramic views of the Purcell and Rocky Mountains. For more fun and adventure, the Kids Terrain Park has progressive features for beginner to advanced skiers and riders, and the Tube Park is always a big hit. Don't forget to bring ice skates, a skating rink is located outside the Lodge. The very best apres ski is found here. Nothing matches an exhilarating day on the slopes in the ruggedly beautiful Rockies, followed by a revitalizing and soothing soak in the famous mineral hot springs. The mountains also beckon cross-country skiers and snowshoers. The guides at the on-site BC Rockies Adventure Centre offer a wide variety of other activities to do during the snowy months from winter hiking to geocaching and bird watching. Book your ski & stay getaway today! Immerse yourself in Fairmont Hot Springs Resort. Soft snow and sunny slopes. Enjoy the hot pools year-round. The Bears Paw Bar & Grill. The Resort's on-site Brewers Market. Lots of fun and adventure for kids.